Of course, Kimmel also had some words for Donald Trump. “I want to say thank you to President Trump,” he cracked. 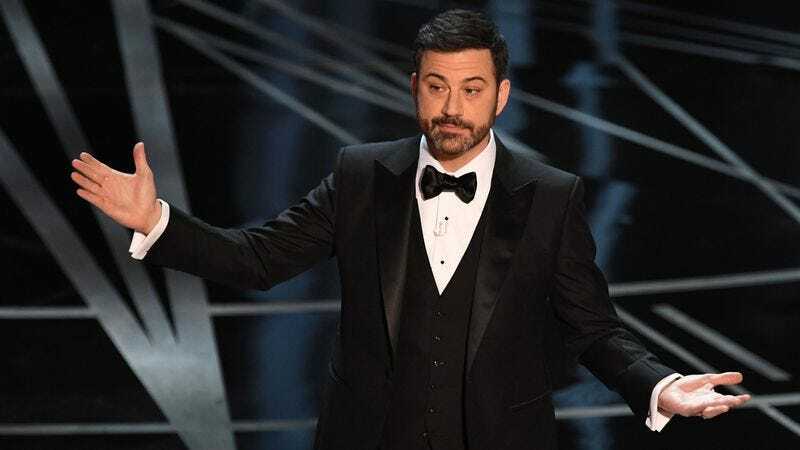 “I mean, remember last year when it seemed like the Oscars were racist?” He also paid special tribute to Meryl Streep, riffing on Trump’s comment that she was “overrated.” Kimmel asked Streep to stand for a “totally undeserved round of applause,“ for which she happily obliged. Update: The bits continued throughout the night. At one point, Damon tripped Kimmel as he strolled down the Dolby’s aisle. Throughout the evening, stars had been paying tribute to their favorite films. Charlize Theron waxed about The Apartment, Seth Rogen shared his love for Back To The Future, and Javier Bardem lauded Meryl Streep in The Bridges Of Madison County. Then Kimmel took on We Bought A Zoo, facetiously praising Damon’s delivery. After that segment, Damon and Ben Affleck were up next to present the award for Best Adapted Screenplay. While Damon cowered that he actually liked his performance in the Cameron Crowe film, Affleck was on Kimmel’s side, responding: “Really?” And as soon as Damon spoke, Kimmel, in the orchestra pit, tried play him off. “I’m just presenting, you can’t play me off,” he protested. 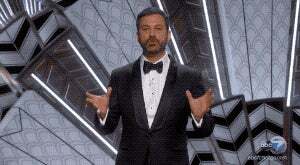 Finally, just before Warren Beatty and Faye Dunaway took the stage to present Best Picture, Kimmel managed to work in one final dig at Damon. “My favorite part of the night is here,” he said. ”A chance to see Matt Damon lose an Academy Award.” Damon did end up losing. Rough night, buddy.